CableFree is deploying Wireless Safe City solutions in many regions in the World. Wireless is a necessary component for Safe Cities to connect diverse locations and mobile vehicles to allow multiple agencies and applications to be served over low cost, resilient city infrastructure. CableFree Wireless is a key component for Safe Cities to enable Police, Law Enforcement, Fire, First Responders, Port and Border Security to access critical real-time resources including CCTV, ANPR and Thermal Imaging to make modern cities safer. CableFree wireless Safe City solutions connect Fixed, Temporary and Mobile CCTV cameras to enhance safety for Public, Services and First Responders. These technologies can be combined to give a complete Safe City network including 10Gbps up to 40Gbps resilient backbones, distribution, Ring, Mesh and Star topologies including Point to Multipoint connection to cameras sites. 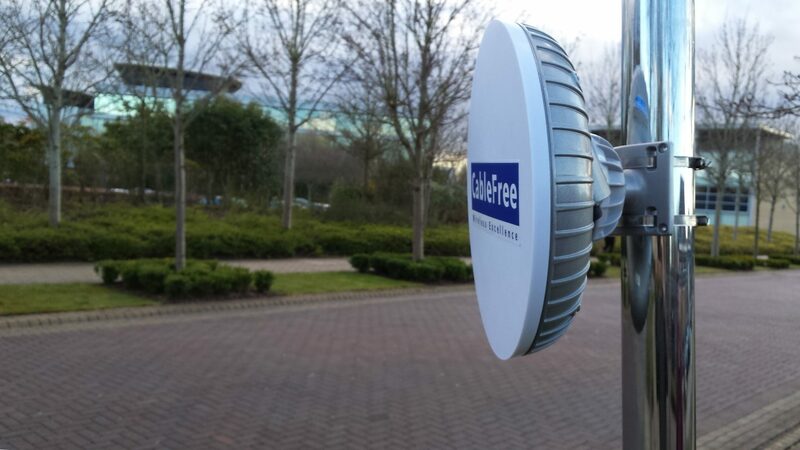 All types of CCTV cameras can be connected using CableFree radios: Fixed, Dome, Mobile, Pan/Tilt, Day/Night vision. Standard, High or Ultra-High Resolution CCTV camera types are fully supported to meet diverse requirements around a city. Cameras can be mounted on new structures or added to existing street furniture such as lamp posts or mobile/telecom masts. Moving vehicles to centralised monitoring stations using CableFree Mobility. All CableFree Safe City Wireless solutions are Scalable and Future-proof and use the latest generation wireless technologies. Using the latest wireless technology, solutions can be made ultra-secure to avoid leakage of sensitive data. Create Resilient, Self-Healing City Wireless Networks. Ensure your network is Cost-effective solutions with Low CAPEX and Rapid Return on Investment. We have over 20 years experience with fixed wireless and deployments in over 70 countries. Contact our team of experts for free advice on creating Wireless Safe City networks for your application. We offer free advice and additional design consultancy services. For More Information on CableFree Safe City Applications, please Contact Us and our team will be delighted to advise on a precise solution to match your exact requirements.